The websites creator or author is VeB[vÍO. 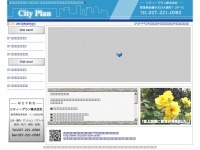 The web server used by City-plan.biz is run by SAKURA Internet Inc. and located in Japan. On this web server 75 other websites are hosted. The language of those websites is mostly japanese. A Nginx server hosts the websites of City-plan.biz. HTML 4.01 Transitional is used as markup language on the webpages. Indexing the data of the website and following hyperlinks on it is explicitly allowed by robot information.